I bought this computer on eBay. I had always wanted to own a PDP-11 capable of running Unix. When I saw this one, I could not let it get away. I bought this computer on eBay also. A PRO 380 is a personal computer with a PDP-11 CPU (J-11). It is in a desktop box, has built in graphics, dual floppies, a 10MB hard drive, a network port, and several expansion slots. The DEC Professional FAQ has some information on this machine. The Real Time Interface (RTI) is interesting on this machine. It has 2 RS-232 serial ports, 1 IEEE-488 port, and 24 bi-directional TTL level I/O pins. These all exit the machine on a 62-pin D shell connector. The predominant use of this option was for connecting to a VAX and acting as the console and diagnostics controller. The particular machine I have was just one of these VAX consoles. The PRO series really need to have a keyboard and monitor attached to be useful. There is a way to jumper the serial port to get access to a console, but all this gets you is KDJ11 ODT. The keyboard is an LK201 type, which is readily available. The monitor has RS-170 compatible frequencies, so even a good television monitor can be used as a display. This is the real jewel: a blinkenlights, UNIBUS PDP-11. 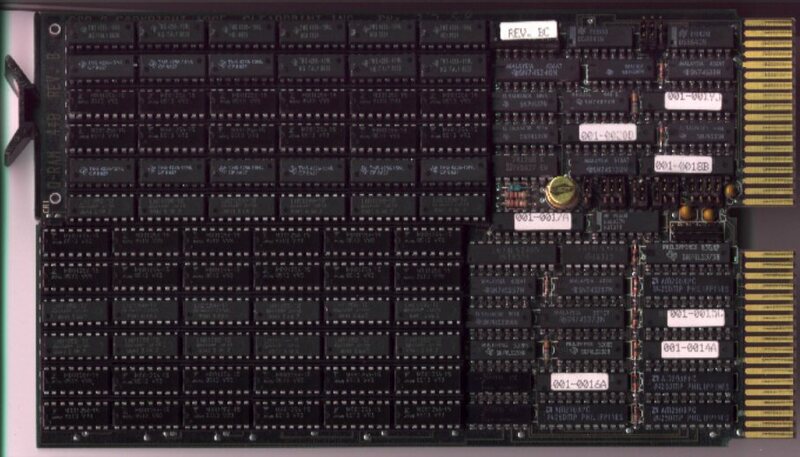 Pictures of a PDP-11/40 can be found here. For 30 years she was used to make numerical control tapes for metal cutting machines. She was only taken out of service because she got too tired to keep up the work. She was replaced by SIMH and a couple of other tools. Her application software is still doing work every day. I have been trying to figure out what works and what doesn't. I have some notes about XXDP here and my experience with the various diagnostics on this machine here. While playing with this PDP-11/73 I put together some notes about various things that gave me trouble. Below are links to my notes. Qbus EIDE Adapter - This is a project that I have been working on for a while. Mostly because I did not have a SCSI Qbus Controller. Development continues with the next milestone being support for DMA (non-block mode). I have a complete page devoted to this. RX02 Floppy Disk System - Another project that I have been working on. The goal is to use this with my PDP8/e. I have a page for this too. 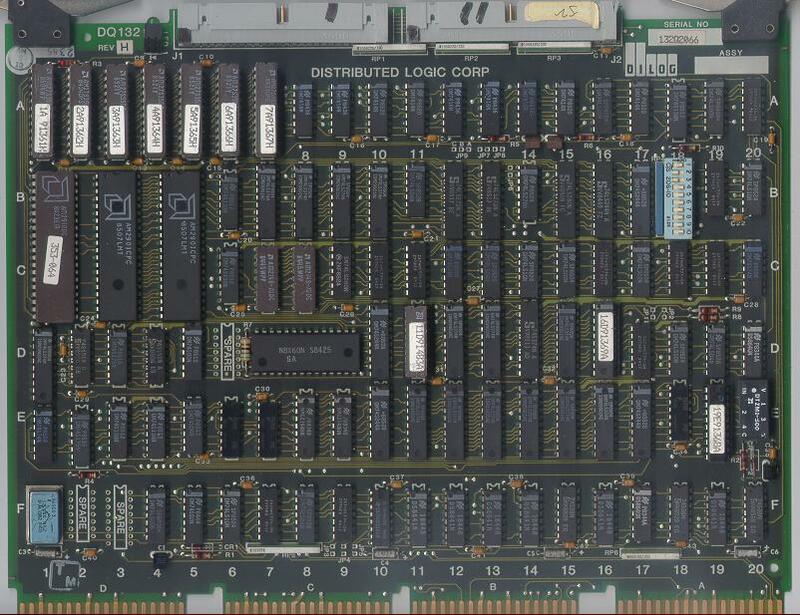 RQDX3 Disk Controller - The RQDX3 Disk Control is a qbus module for ST506/ST412 interface disks and uses MFM encoding. I have been using it with an MFM Emulator. There are notes here. XXDP - A guess at the function of many of the diagnostic programs. Created by doing a strings on an RL02 image of XXDP v2.5 and then combing through the resulting text for clues to the diagnostic programs' function. RX50 - A description of reading and writing RX50 format disks in a Linux box. The physical sector order and the logic block order are not the same for RX50s. The next program fixes that. lbn2rx50.c - A program to reorder RX50 disk images between sector order and lbn order. Useful for exchanging data between Supnik's simulator and a real PDP-11. John Wilson's PUTR is much more capable, but it is DOS only. rauboot.s - A 2.11BSD bootblock that seems to handle third party MSCP disk controllers a little better than the stock version. Only really tested with a CMD CQD-220 though. DEC Professional 380 - Some notes about getting a DEC Pro 380 running. The Pro I have was once a VAX Console, so it has the RTI card installed. I was given some scans of the connector pinout. Visual Field Guide - Some images of modules that I have. Some are Qbus, some are Omnibus, and some are not for any bus at all, but are building block modules. 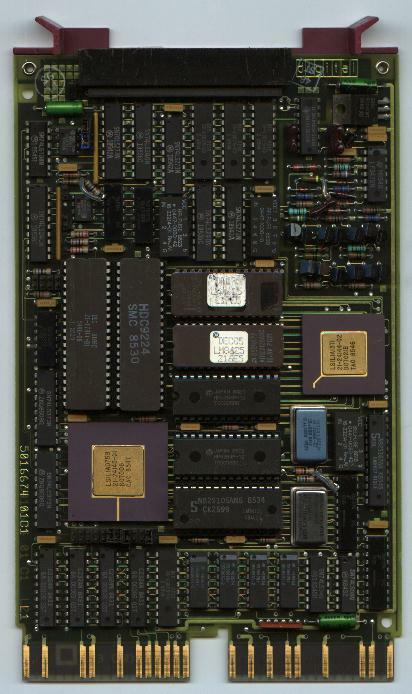 The M700 modules are from a PDP-14 industrial controller. DEC colors - Digital's standard colors converted to RGB. Based on my interpretation of the DEC STD092. One of the great things about PDP-11's is the amount of information about them that is available. These machines are often still doing production work, so unlike the PDP-8, the software is not freely available. These are some sources that I have found helpful. PDP Unix Preservation Society - A source for many of the original Unix versions. Many of which have now been placed under a BSD style license and can be modified and distributed freely. The Unix Heritage Society - Dedicated to preserving all things Unix. www.dbit.com - Home of E11, an excellent PDP-11 simulator, and PUTR, a very useful tool for working with disk images for PDP-11's and PDP-8's. It supports transfer of files between a host and the disk image for several OS's include RT-11 and OS/8. Unfortunately it is PC-DOS only. 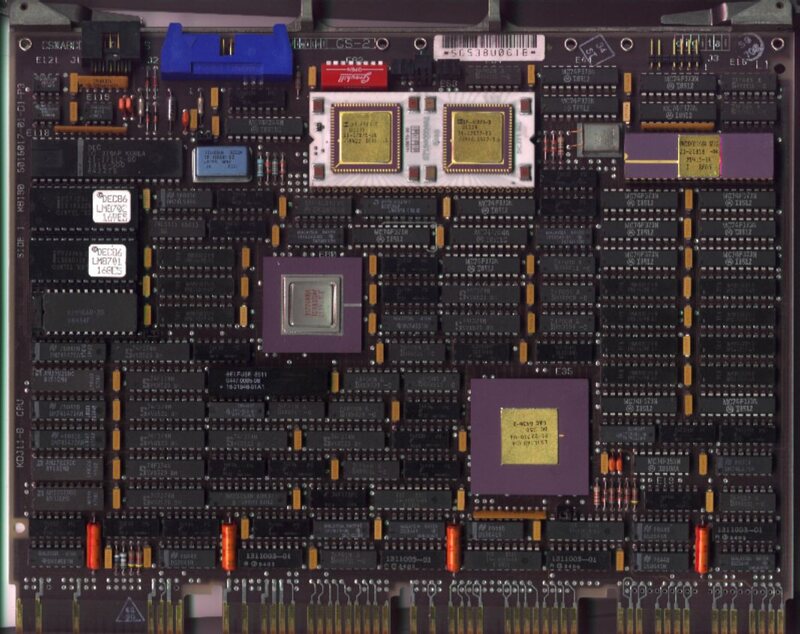 The Computer History Simulation Project - Home of Supnik's SIMH computer simulator, with support for more than 20 different computer simulations. DEC Professional FAQ - resources for the DEC Professional series of PDP-11 architecture desk top computers. 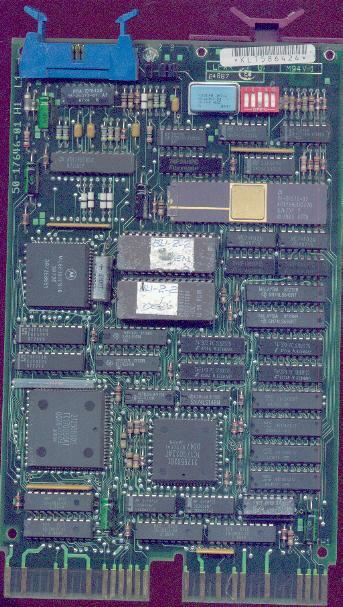 RQDX3 - M7555 - MSCP MFM Disk Controller. DELQA - M7516 - Ethernet Adapter.